This was taken last week while Mr. Unplugged was driving me to drop off the artwork for the exhibit. 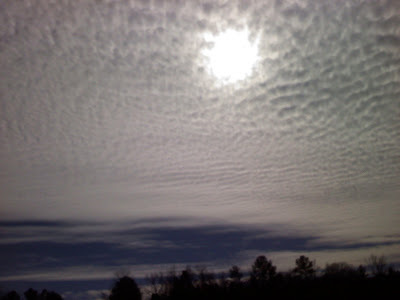 Go to http://www.skyley.blogspot.com/ to see some beautiful sky photos! I wonder where in the south you are? How sad, I hope I never stopped being shocked by these events. I think you may be feeling numb from shock. When IN SHOCK on doesn't yet FEEL the reality of it all.